With broadcasters confined by restrictions on anything Olympics-related, some local newscasters are coming up with creative ways to show viewers what's happening in Rio without running afoul of NBCUniversal, the IOC or its sponsors. NBCUniversal, which paid $7.75 billion for the exclusive rights to the Olympics through 2032, restricts stations to three programs of Olympic material a day and two minutes of Olympic footage in each program, which must be separated by three hours. To report on what's happening in Rio, many stations use stills of the athletes either in competition or during the medal ceremony to illustrate the story when they've used up their daily allotment of moving pictures. Pat Tomasulo, the morning sports anchor for Chicago's Tribune-owned station WGN, unveiled his solution to the restrictions after telling viewers he's not allowed to use the Olympic rings in station-branded graphics, not allowed to play the iconic Olympic theme song and only allowed to show two minutes of highlights in the six hours of the station's morning newscast. 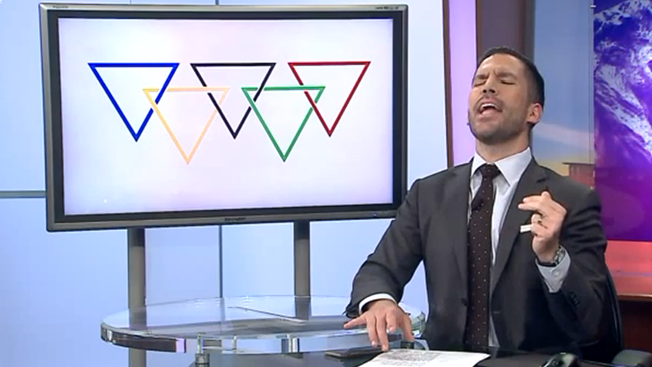 "Let me just say once again, it's not the actual sports of the Olympics I don't like," Tomasulo said during his on-air rant. "It's NBC's restrictions on the TV rights and anything Olympic related." So in keeping with the irreverent nature of the WGN morning newscast, Tomasulo used an R. Kelly song for the Olympic anthem, a five colored triangle concoction instead of the Olympic rings and camcorder footage of his high school wrestling career shot by his parents instead of Olympic footage. In Cleveland, ABC affiliate WEWS tapped a producer's talent for drawing stick figures to show the day's highlights. "Who needs video," asked anchor Elizabeth Noreika. "When you have a pack of Sharpies?" A Colorado Springs CBS affiliate tweeted a shot of a cat wearing athletic gear in the red, white and blue of the U.S. team because it said it had the rights to the picture, we presume as a response to Olympic restrictions. While not as subversive as its Chicago sister station WGN, Des Moines NBC affiliate WHO is at the Iowa State Fair aiming for the overheated fair-going family that may want to see something more than another funnel cake. 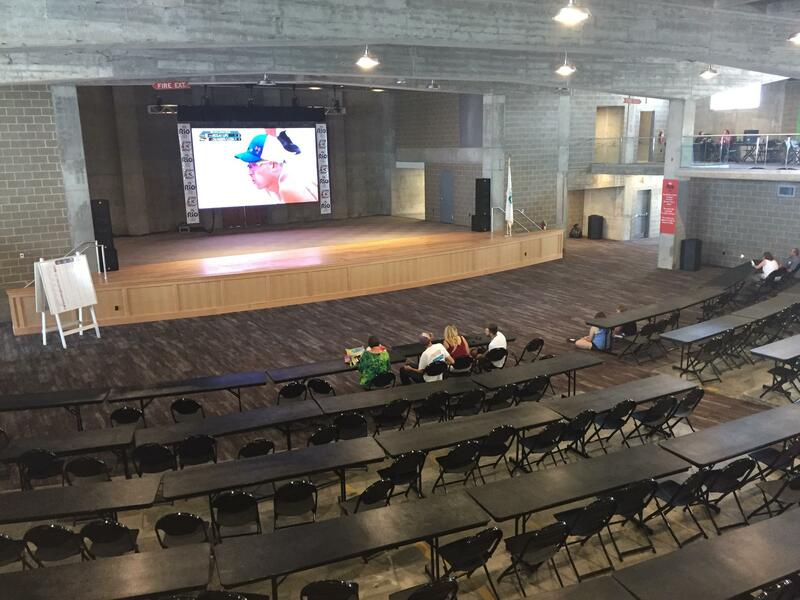 The Tribune-owned station is showing the games on big screens in an air conditioned space.